Main battery — 3×1 100 mm. Firing range — 9.8 km. Torpedo tubes — 2×2 550 mm. Maximum damage — 12233. Range — 6.0 km. Speed — 57 kt. Reload time — 56 s. Launcher 180 degree turn time — 7.2 s. Torpedo detectability — 1.2 km. Main battery — 4×1 100 mm. Firing range — 9.5 km. Torpedo tubes — 2×3 550 mm. Maximum damage — 12233. Range — 6.0 km. Speed — 57 kt. Reload time — 90 s. Launcher 180 degree turn time — 7.2 s. Torpedo detectability — 1.2 km. Main battery — 4×1 130 mm. Firing range — 11.8 km. Torpedo tubes — 2×3 550 mm. Maximum damage — 14833. Range — 9.0 km. Speed — 60 kt. Reload time — 90 s. Launcher 180 degree turn time — 7.2 s. Torpedo detectability — 1.3 km. Main battery — 5×1 130 mm. Firing range — 12.1 km. Main battery — 5×1 139 mm. Firing range — 13.0 km. Torpedo tubes — 3×3 550 mm. Maximum damage — 18400. Range — 8.0 km. Speed — 57 kt. Reload time — 90 s. Launcher 180 degree turn time — 7.2 s. Torpedo detectability — 1.2 km. Main battery — 5×1 139 mm. Firing range — 12.8 km. Torpedo tubes — 3×3 550 mm. Maximum damage — 18400. Range — 8.0 km. Speed — 75 kt. Reload time — 90 s. Launcher 180 degree turn time — 7.2 s. Torpedo detectability — 1.4 km. Main battery — 4×2 139 mm. Firing range — 13.0 km. Torpedo tubes — 4×3 550 mm. Maximum damage — 14833. Range — 9.0 km. Speed — 60 kt. Reload time — 60 s. Launcher 180 degree turn time — 7.2 s. Torpedo detectability — 1.3 km. Main battery — 4×2 139 mm. Firing range — 13.6 km. Torpedo tubes — 4×3 550 mm. Maximum damage — 18400. Range — 8.0 km. Speed — 75 kt. Reload time — 77 s. Launcher 180 degree turn time — 7.2 s. Torpedo detectability — 1.4 km. Model of Yamato — one of the oldest ship models in game — gets an update. Thanks to the conducted research, the model will get more details and get closer to the correct historical appearance and how Yamato looked when she went into her last battle. Also players can get special tokens which can be exchanged in the Armory for different in-game items and special containers with the chance to get and early access for Soviet tier V – VIII battleships. 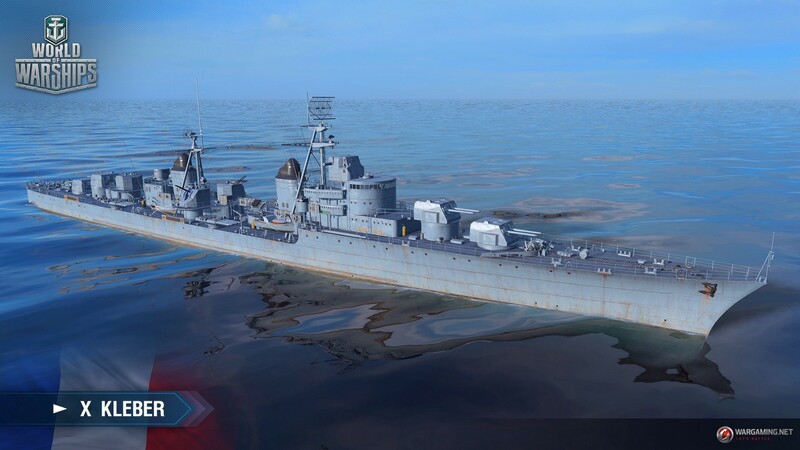 Special permanent camouflages for researchable Soviet ships Vladivostok, Chapaev, Kiev, Ognevoi and premium battleship Lenin will be available in the Armory as well as the consumable camouflage “Victory”. Main battery — 3×3 406 mm. Firing range — 22.7 km. Main battery — 4×1 127 mm. Firing range — 12.6 km. Torpedo tubes — 4×4 533 mm. Maximum damage — 16633. Range — 9.2 km. Speed — 55 kt. Reload time — 98 s. Launcher 180 degree turn time — 7.2 s. Torpedo detectability — 1.1 km. Main battery — 3×3 310 mm. Firing range — 21.3 km. Torpedo tubes — 4×4 610 mm. Maximum damage — 23767. Range — 12.0 km. Speed — 67 kt. Reload time — 120 s. Launcher 180 degree turn time — 7.2 s. Torpedo detectability — 1.7 km. Hit points — 13200. Plating — 16 mm. Main battery — 1×1 and 2×2 127 mm. Firing range — 11.8 km. Torpedo tubes — 2×4 610 mm. Maximum damage — 17233. Range — 15.0 km. Speed — 57 kt. Reload time — 101 s. Launcher 180 degree turn time — 7.2 s. Torpedo detectability — 2.5 km. Main battery — 4×3 152 mm. Firing range — 17.4 km. Secondary Armament: 4×2 100.0 mm, range — 5.0 km. Maximum HE shell damage — 1400. Chance to cause fire — 5%. HE initial velocity — 855 m/s. DOA if not balanced against Russian BB’s. Also, nice info dump but a bit long. Next time maybe in two parts/articles ?